Our Personalised Oak Finish 4×6 Football Photo Frame, is a must have gift for any football fan. 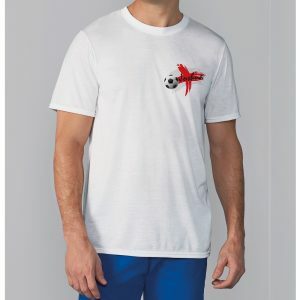 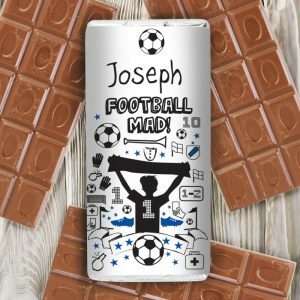 Featuring a football motif along with there name, it’s a personalised gift for players of this great game. 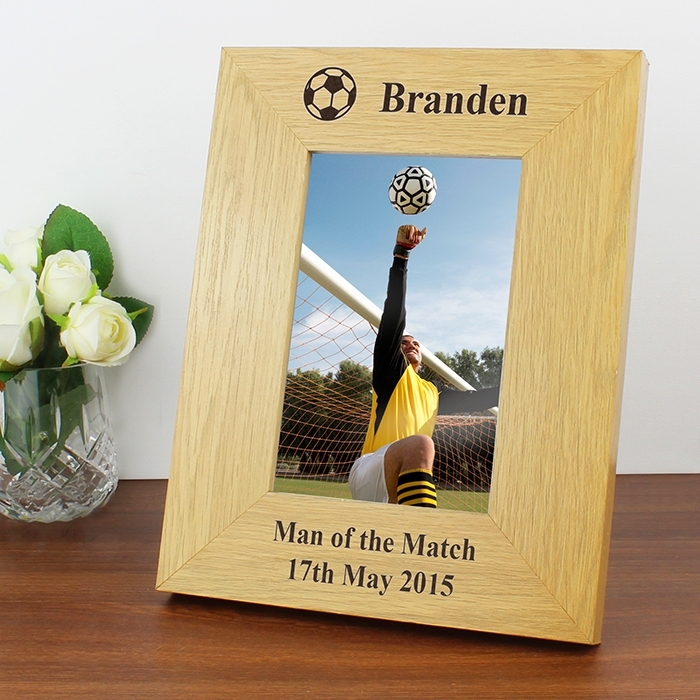 The frame is finished with an oak veneer and will hold a 4×6 portrait photograph. 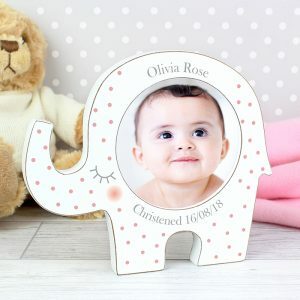 1 line of a text will be added above the photo up to 15 characters and 2 lines of 25 characters below the photo. 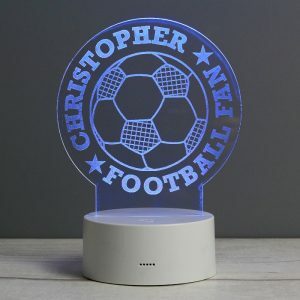 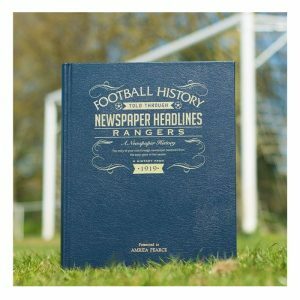 A personalised football gift that’s ideal for a birthday, or at Christmas for him – a piece of kit that will stand proud on a shelf with all his trophies!